1- I wanted to know how it would feel to play drums, and if it was feasible to have it as a hobby because I can’t play guitar due to my bad left hand. 2- There are a couple of tracks that I love so much, that I can play on the guitar and happens to be in my top 10 all time favorite songs, I know how to play them because they are extremely easy, the drums on these tracks are simple yet extremely effective. One weekend, after seeing a friend in a mall, I went to an electronic megastore to find a battery charger for my phone, I noticed that they have a musical instruments section, there i found this dude playing drums on an electronic drums. He was awesome, he was listening to music on his iPod with the earbuds and apparently playing along on the drums. After a very very long while, the guy left, I asked one of the staff if I can try it out, and so I did, I was really bad. My legs were heavy and apparently air drumming is way easier. 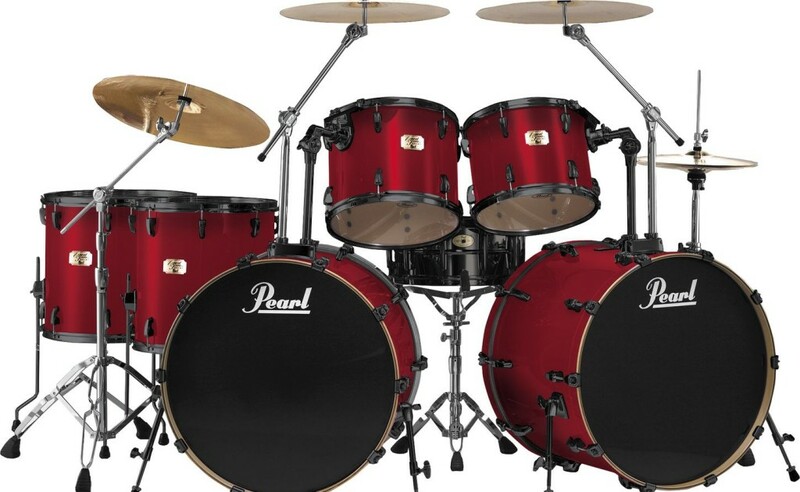 I talked to the sales guy about the drum set and went back home, I researched the model and the setup of it. I listened to online sound samples from the drum machine. I started mapping the songs I like to the electric drumset and played air drums with me imagining using the electric drums I saw in virgin megastore. Two weekends later I copied those two songs on my iPod and went to pay a visit to the electronic megastore. I put on my iPod on and tried jamming to the songs, I was awful, after 15 minutes I got my grip on the drumset and I put on 1 earbud in my ear and played the songs and I drummed along with it. After 2 repeats of one of the songs, I started jamming nicely, the drum sound was in sync and in tune with the song, I felt extremely happy, I was euphoric! The second song was abit harder, it used more symbols and toms, but I managed to play with the song, after a really long time, I started drumming it in a nice way. Around the hour or so of me trying playing the drum set, I kept looking at people who where looking at me while I’m playing, at first… I got nervous, but with time passing by, their faces started fading away, and all that was around me was pure bliss, I am dead sure that I was awful in the ears of those who were near, but for those minutes I was at the top of the world. When I park my car at that mall, I write a note of where I parked my car on my phone, on that weekend, when I went out to the parking lot, I couldn’t find my car… It took me more than hour to go through the whole parking level searching for it with no luck. The parking was extremely full, cars driving around trying to find a spot to park, my shirt was soaking with sweat mingled with car exhaust fumes. After that dreadful hour, I saw a security guy who was trying to direct the influx of the cars on that parking level. After talking back and forth with him for a while, he told me that I should be on level 5 and not level 3. I shrugged the idea because I had written where I parked on my phone. After losing hope of ever finding my car (being stubborn) I went two levels up… Lo and behold….there was my car… waiting for me. And if the above incident didn’t ruin my day, I was stuck for two hours in traffic driving back home. I don’t take notes of my parking space anymore… I take pictures. It must have been one experience, salute to your zealness. And for the parking incident I would’ve probably freaked and not known what to do, glad you get united with the car. I must have done something like leaving in a taxi and figuring out about what to do .. later! As for the car, i couldn’t leave it there, it was a rental :/ and the thought of taking a taxi back home would cost literally and arm and a leg… maybe throw in also an ear. Hello Rain, your comment was caught as spam, they sell musical instruments in virgin megastore amman? The app works if you are in open area, but inside the parking lot it goes bonkers most of the time.